Be sure to use safety glasses when viewing the eclipse, or another safe viewing method to avoid eye damage. A solar eclipse is a marvel to behold. Finding yourself in the narrow path where the sun is totally eclipsed is a rare opportunity. On August 21, millions of people are expected to flock to this "path of totality" that stretches from Oregon to South Carolina. 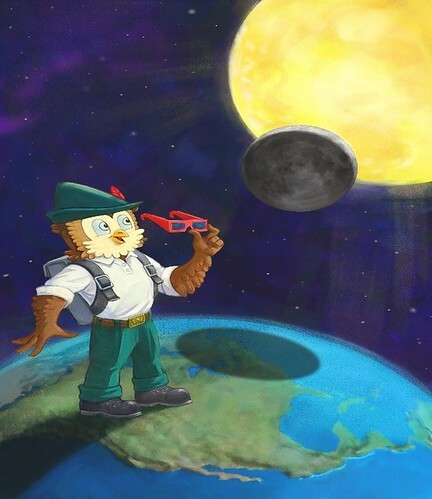 The eclipse path also crosses over many lands managed by the U.S. Forest Service, and hundreds of thousands are expected to come to catch a glimpse of this historic eclipse while enjoying everything that America's backyard has to offer. These areas include 26 national forests, one grassland, and a recreation area. While national forests and grasslands provide an unparalleled chance to experience the great outdoors while seeing one of the great wonders of the cosmos, the sheer number of visitors expected will stretch the capacity of these areas to their limits. Many of the hotels and campsites along the path have been booked for months—even years—in anticipation of this eclipse. "Each of our regions along the path are expecting hundreds of thousands more people than we would normally see," said U.S. Forest Service Chief Tom Tidwell. Safety is always the top priority for the Forest Service. With such a massive number of visitors concentrated along a narrow corridor, risk is that much higher. With that in mind, the Forest Service has prepared several tips for viewers. First, never look directly at the sun, even during the eclipse. 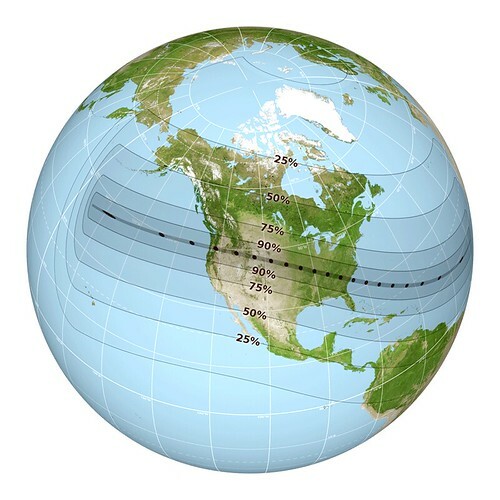 You can find out more on safely viewing the eclipse on the NASA eclipse website. Safety glasses and other items will not be provided on-site, so make sure you prepare accordingly. Next, the best advice for going to the great outdoors is to be prepared. Know where you’re going and what to expect when you get there. Weather, wildlife, access to food, water, and fuel all play a factor in being prepared and enjoying yourself safely. Moreover, the heat of summer makes both large and small creatures increasingly active. Everything from tiny bacteria that can cause foodborne illness to enormous bears and mountain lions tend to present a bigger risk. Protect yourself from both by making sure you "know before you go." Perhaps most importantly is that August is the height of fire season—a time when summer weather makes wildfire much more likely and destructive. Everything from unattended campfires and charcoal grills to driving and parking on dry grasses can start a fire that destroys resources, habitat, and puts lives at risk. Chief Tidwell also said that while the safety risk is a concern, it should not prevent those already planning to visit from enjoying everything the forests and grasslands have to offer. "We want everyone to have a great time and make great memories, but we also want them to stay safe so they can return again and again," Tidwell added. "After all, these lands belong to them--they're meant to be enjoyed." What kind of safety glasses, do they need to be tinted or will sun glasses be okay.? This is very helpful considering the eclipse is today in like two hours.